A group of demonstrators have staged a climate change protest at Heathrow Airport. The Extinction Rebellion (XR) environmental protesters have identified Heathrow Airport as their next target, having spent four days camped out in central London. Passengers whose flights are cancelled or delayed as a result of environmental protests at Heathrow Airport have been warned they are unlikely to be able to get compensation. The drone no-fly zone around airports has been extended to protect aircraft. Controversial plans to expand Heathrow would effectively create a “new airport” and have “severe” consequences for Londoners, the High Court has heard. Controversial plans to expand Heathrow Airport will come under the scrutiny of leading judges as a legal challenge gets under way at the High Court. A suspicious package sent to a Scottish university is believed to be linked to the three explosive devices sent to transport hubs in London on Tuesday, Police Scotland has said. The Irish Foreign Minister says he is embarrassed that explosive packages sent to major transport hubs may have come from Dublin. Counter-terror police investigating three explosive devices sent to major transport hubs in London are warning workers to be vigilant for further suspicious packages. British Airways has unveiled the second design in a series of retro liveries as part of its centenary celebrations. Campaigners are hiding in a pitch black “Great Escape” tunnel to try to stop the eviction of eco-squatters who are protesting against a third Heathrow runway. Heathrow Airport has insisted passengers can “book with confidence” as it prepares for the possibility of a no-deal Brexit. Hotel tycoon Surinder Arora’s firm has submitted the first part of its rival planning application to expand Heathrow. Flights have been suspended at Heathrow after a suspected drone sighting, an airport spokesman said today. “There were a lot of tears and panic all over the plane. A lot of passengers were sick and kids were crying. There were lots of white faces." Aberdeen airport bosses are in talks with airlines to try to fill a gap in the flight schedule. 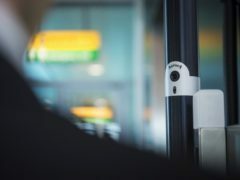 Heathrow Airport is rolling out biometric technology that will recognise your face throughout departures, cutting out the need to use boarding cards. Computer problems have hit British Airways operations at London’s Heathrow Airport. A fire alert at Heathrow Airport’s air traffic control tower briefly forced flights to be diverted to other airports. Aberdeen airport bosses have backed Heathrow Airport’s expansion saying it would enhance the north-east. Around 30 flights to and from Aberdeen have been cancelled today. A number of flights to and from Aberdeen have been cancelled this morning. Heathrow Airport said it is dealing with a “serious accident involving two vehicles” on the airfield after several passengers reported on Twitter that they had suffered delays on the tarmac and at their gates. Flights have been cancelled at Aberdeen airport today due to winter weather in other parts of the country. Aberdeen passengers are facing flight cancellations and delays today due to freezing fog. Aberdeen travellers can now fly to more international destinations via Heathrow with a single check in and bag drop.